Brushing and flossing are two of the most important aspects of keeping your teeth and gums healthy. While dentists will recommend you brush and floss at least twice a day, it’s important to do it properly in order to receive the expected benefits. One of the keys to brushing properly is to use the right toothbrush, and to care for it properly. While different people will prefer different styles of toothbrush – manual or electric, soft or firm – it’s generally recommended that you consider soft bristles to avoid damaging your gums. This is especially important if you are a vigorous brusher – a softer bristle will avoid damaging sensitive gum tissue, which is a common cause of receding gums. A toothbrush approved by the ADA will be most likely to hold up well under use and have a safe and effective design. Once you’ve selected the proper toothbrush, it’s important to care for it properly. You should clean the toothbrush after each use, rinsing it with water to remove excess toothpaste and other debris. Occasionally soaking the brush in antibacterial mouthwash is also a good idea. After each use, be sure to allow the toothbrush to dry. Ideally, you should store it upright so it can drain, and to minimize the risk that airborne particles will settle on the surface. From time to time, you’ll need to replace your toothbrush. Typically, you should replace your brush if it shows signs of wear, for example if bristles fall out during use. You should also consider changing brushes after a major illness, as it’s likely that you’ve contaminated the toothbrush, and will re-introduce bacteria to your body. While it may not make you sick a second time, it may prolong the illness if you continue using it as you recover. After three to four months of regular use, you should replace your toothbrush – the bristles will be starting to wear, and the relatively inexpensive price of toothbrushes should make replacement simple. 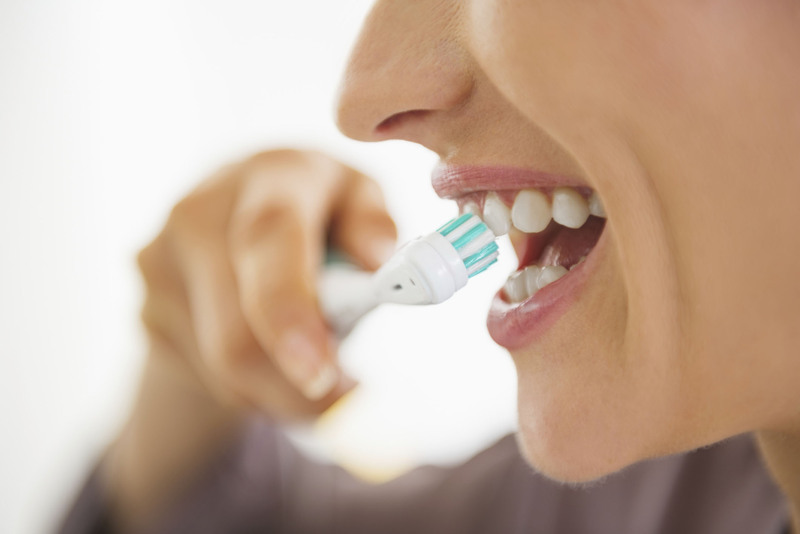 Finally, you should avoid sharing your toothbrush, even with close family members. While many families are comfortable swapping saliva, you should remember that tooth decay is bacterial in nature, and that bacteria will live on a toothbrush. In that sense, you can consider tooth decay a disease that can be transmitted from person to person. It’s in everyone’s best interest not to share toothbrushes.